I have to confess I’ve never actually made a pavlova from scratch before! So when I heard about the food blogger pav blog hop, I knew I’d have to give it a go – if only to make up for my French pavlova that never was. My family aren’t super sweet tooths, and I was wondering what I’d do with a whole pavlova all to myself. But luckily, the pavbloghop day coincided with the date of my friend D’s Doctor-Who-themed-30th-birthday-party! And as we were all encouraged to bring a dish, why not kill two birds with one (very delicious) stone! I used this recipe from The Cook & The Chef – I don’t really know why… maybe because then I can imagine Maggie Beer is looking after me over my shoulder. It was a pretty basic recipe, but I found it didn’t go into enough detail in the egg whipping stage. I’m pretty much a baking noob, and didn’t realise I had to add the sugar in bit by bit to reach hard peak… as a consequence, it took a lot longer to whip together than the recipe stated. But I got there in the end!! The pavlova started to crack as it baked and then cooled – I don’t mind so much, as I then I can pretend that it is “rustic”, but if you prefer no cracks, apparently running a spoon up and down the sides of the meringue to create grooves before you bake it makes the formation more stable. (check out Bizzy Lizzy’s Good Things‘ pavlova post for a beautiful non cracked and structurally sound pavlova). Too bad I only learnt that little titbit after my pav was already in the oven. 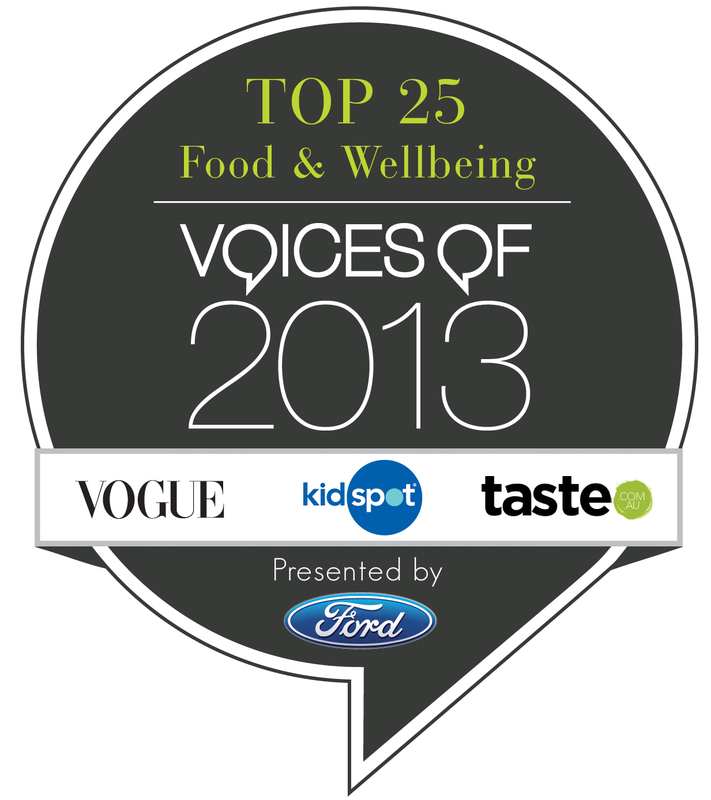 Maggie Beer!! You’ve let me down…!!! When my mum found out I was making the pavlova to take to a party, she requested I make a baby one for her to eat at home haha. Pretty pleased with how it turned out…!! And it seemed to go down well with D and the rest of my friends…! I like how the swirls run all the way through the pav! Beat the egg whites on a high speed until fluffy, about a minute (mine took a bit longer). 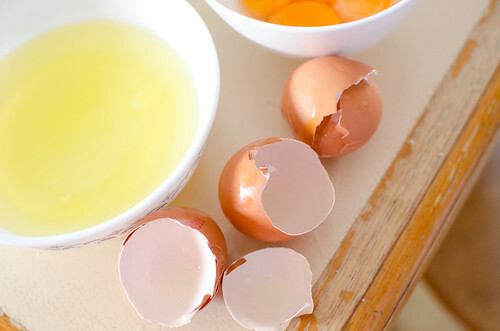 The bowl should be clean with no grease in it, the eggs room temperature and you should be careful not to get any of the yolk in the white. Keep the mixer on, as you slowly add the castor sugar bit by bit – making sure that the sugar is completely dissolved before you add more. If you rub a bit of the meringue mixture between your fingers, it shouldn’t be grainy. Mix until the mixture is thick and glossy with a hard peak, then beat in the corn flour, vinegar, and vanilla. 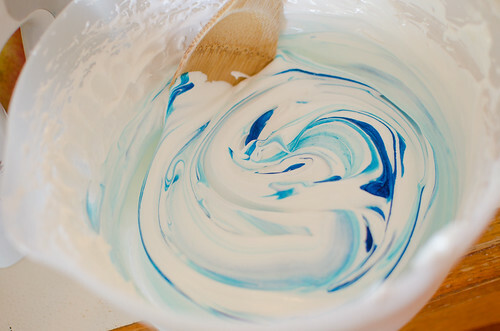 Swirl in the blue food colouring. 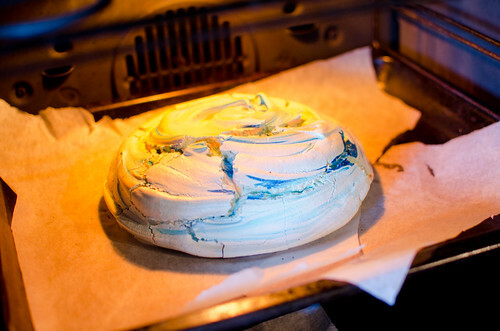 On a baking tray lined with a sheet of baking paper, pile the meringue up high to get a marshmallowy centre or flatten it out if you prefer crusty. Make an indentation on the top for the filling. Bake the pavlova for 50 minutes until quite firm, then turn the oven off but leave the pavlova in it to cool completely. When you’re ready to serve, whip the cream (do not add sugar!! 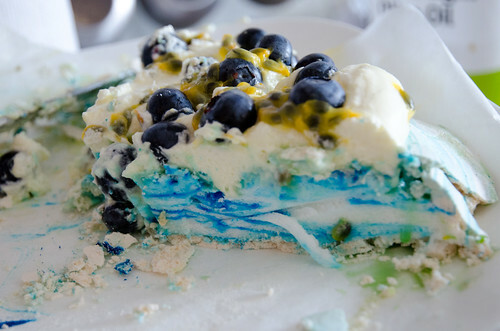 Believe me, there’s enough sugar in the base) – and add the passionfruit and blueberries! Haha you made me laugh when you mentioned the blue soup form Bridget Jones. I love that movie!!! 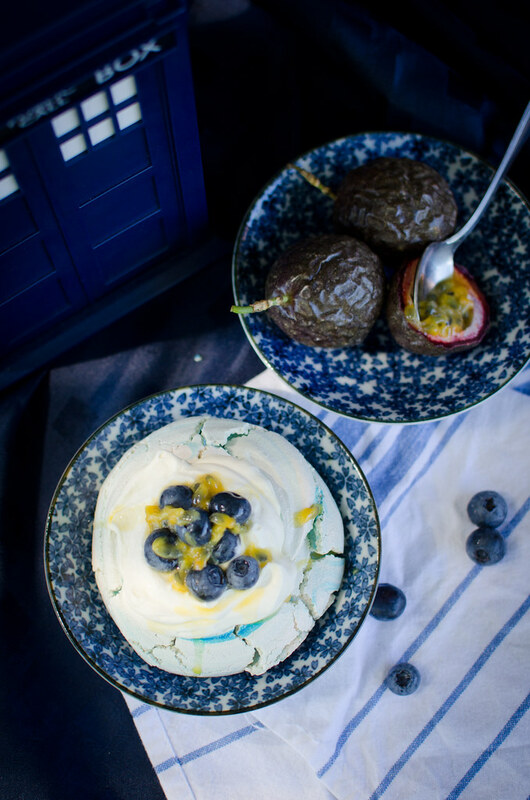 I love your Tardis pavlova! I used to love Dr Who when I was a child. The colour goes so well with the blueberries. Aren’t blueberries amazing at the moment? Yes, blueberries are so great at the moment – and so cheap too!! I’ve been using them in everything! oh yay! always lovely to hear about more Who fans – hope he likes it! hehe thank goodness for that! They are cute aren’t they?? I got them in Japan… on that kappabashidori – the street that sells only kitchenware (AMAZING street… next time I have to go with an empty suitcase and lots of bubblewrap). Ashley – you clever thing! 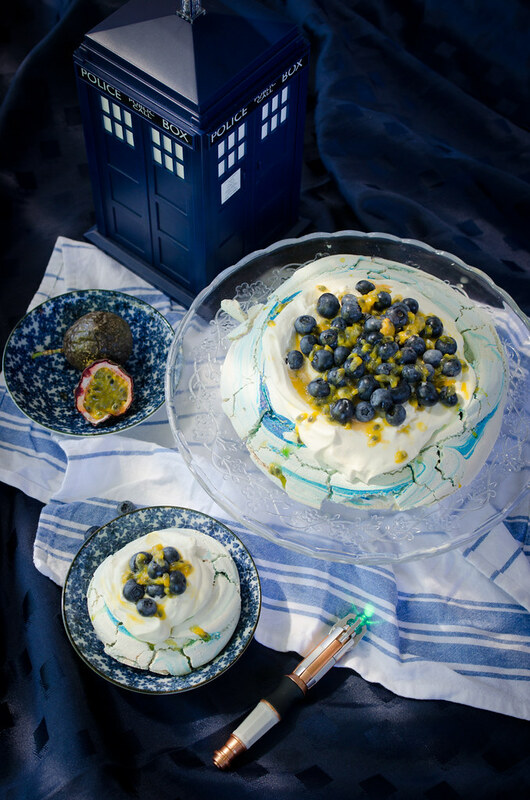 I love the blue swirled into this pavlova and the Doctor Who reference. And you’ve styled it all so beautifully, too. And I thought it was hilarious you served vegemite to your French hosts – tee hee. 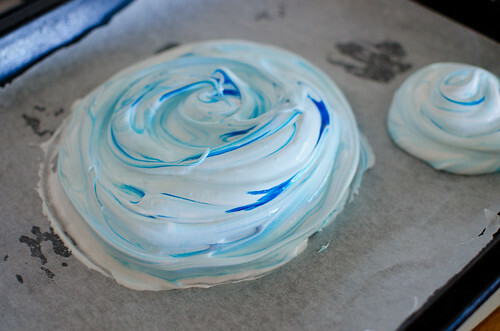 I thought about using food dye as well but thought people would balk at the idea of eating a completely coloured pavlova. Durr. What was I thinking? Coloured macarons, anyone? Hahahaaa yeah I can’t believe it too! At least they were polite enough not to spit it out. Soo pretty! Love blueberries, perfect on a pav. Thanks Sara! I am such a late convert to blueberries (my mum always thought they were too expensive to buy!) but they are sooo good. Thanks so much! Love all the baked goods on your blog – they look so yum! Hi there, Peter and I love Dr Who and I think your Tardis pav is superb! LOL, mine did have some cracks in it, that simply happens with pavlova. But running a butter knife up the sides to form those grooves does seem to strengthen the walls of the pav. A little trick from the Women’s Weekly! I note that the photo of Bill Granger’s brown sugar pavlova had a pav that had almost caved in on itself, but, what the hey, it’s so delicious! Great job! I want some of yours. hehee ok that is slightly comforting to hear!! You photographed it so well, I couldn’t tell yours had cracks at all 🙂 But I must try the groove trick next time, it does look like it works! blue & yellow is a nice colour combo isn’t it… they just make each other pop! Very clever, great pics, love it! Hahaa wouldn’t that be amazing…. you think you’ve eaten all the pav, but there is MORE pav inside the pav. pav inception. 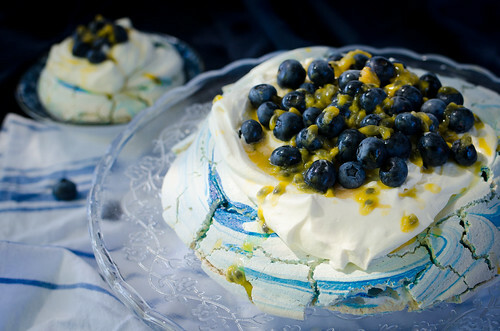 I actually prefer a ‘rustic’ cracked pav, nothing worse than something that looks like you got it at woolies! Yours looks great. Haha it gave me a few heart palpitations transferring it from the box to the serving plate…. I thought it was going to cave in… but thankfully it stayed in (mostly) one piece! Thanks Shellie! Love your pandan pav too~! Cuteeeee! Now how’s about baking me something from the Momofuku Milk Bar book – I know you want to! Gorgeous! I love the blue streaks throughout, I will have to do this next time. And blueberry and passion fruit sounds like a wonderful flavor combination! Being from Aussie, but living in the states this is the one thing I miss the most. Seeing your blog on Piniterest I cannot wait to try it. Maybe without the blue, but hey my kids might love that. Yummy!!! I like a good pav and this one looks absolutely amazing! Your friend is so cool, having a Dr Who themed party! And I think you’re pretty cool for getting into the spirit and making this pavlova.